About a month ago, we discussed JR and his art projects. After a lot of talk, I became very curious as to what he was up to now? What is is next big idea? After much research, the answers have been found! JR is still up to his old art styles and looks to be continuing in that direction for quite some time. 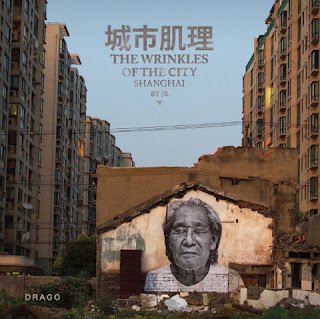 One of his most recent projects was called Los Surcos de la Ciudad project or The Wrinkles of the City in English. His inspiration was based on an encounter in Cartagena, Spain, where its elderly whom were considered to be the memory or history of the city. JR took pictures of their wrinkles and marks of time and pasted them along the buildings and streets of old Cartagena. It serves as "a living memory of a city changing faster than they themselves age." 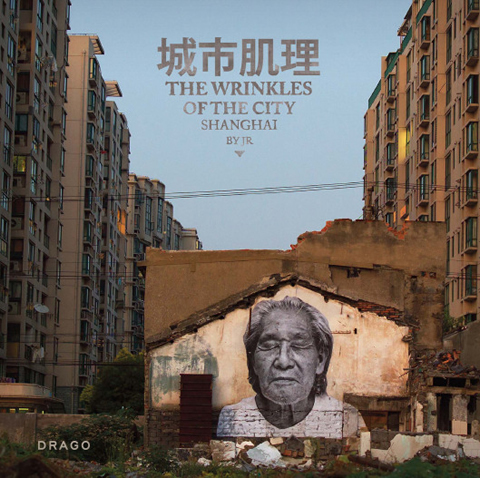 This project originated in Spain, and currently has reached Shanghai, China, as part of the Biennial at The Shanghai Art Museum. Since my past blog update, we have covered a wide range of topics in Ethic's Class. These topics range from computer programs that are designed to cure cancer to movies about children in war torn countries. All in all, it was a very interesting and informative period of time! My favorite part of this time period was the viewing of the documentary "Promises". 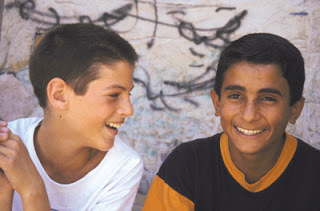 This is a film that is centered around Palestinian and Israeli children who are growing up in the middle of the Palestinian-Israeli land conflict. At the beginning of the movie, I thought that it was very interesting to see how strong and severe some of the children's views were. It is very sad that they were taught the need to kill others instead of compromising. It was also very interesting to see their views change over time as well, especially in the Bonus Features! As the children matured, they became less and less for compromise and peace, and more for beating the other ethnicity by any means possible. It was very apparent that they were turning into the adults that they had originally criticized! Everyone did not get a chance to speak their views about the movie in class, so I will take the opportunity to do so now! At the beginning of the film, the twins were my favorite characters. I feel that they were the most moderate and least ingrained with false ideas. I was very shocked and upset to see that they ended up becoming the very thing that they originally never thought of becoming! They became soldiers that may have easily killed the Palestinian loves ones of their old friends! I understand their desire to help their country, but I honestly can't believe that they would turn against their friends after they swore they wouldn't! After watching the film "Promises", I am very curious as to how the children are doing now. What has happened to them after the updates in 2004? ASL, Deafness, and Implants... Oh my!